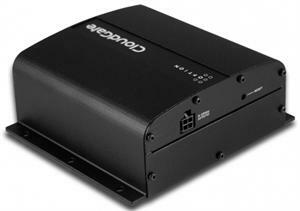 The CloudGate M2M gateway from Option provides competitively priced LAN to WWAN routing and GPS functionality in a single basic unit certified on all major us cellular operators (CDMA/EV-DO and WCDMA/HSPA+). 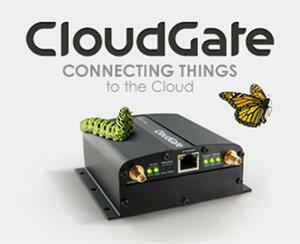 The CloudGate is simple to configure locally or remotely from your PC, tablet or Smartphone. 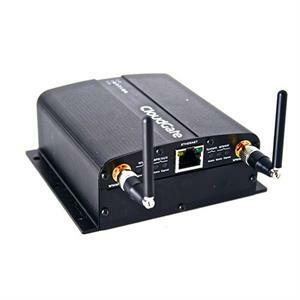 Option CloudGate automatically resolves common problems associated with wireless M2M connectivity. Built in software and hardware watchdogs continuously monitor each component of the product and the product’s connectivity to home servers. In the event an issue is detected, the product proactively takes steps to reestablish connectivity. All software and configuration images are protected with digital signatures and have dual rollback images that allow the product to revert to previous working settings if an issue is detected. All management functions are protected by certificate and/or password based security mechanisms and all management actions take place over hardware assisted encrypted links. The new CloudGate M2M 3G gateway is certified on all major US cellular operators (CDMA/EV-DO and WADA/HSPA+) with global versions available. The nanoWiPOM peripheral board adds Programmable Logic Controller (PLC) and Remote Terminal Unit (RTU) capabilities to the CloudGate.